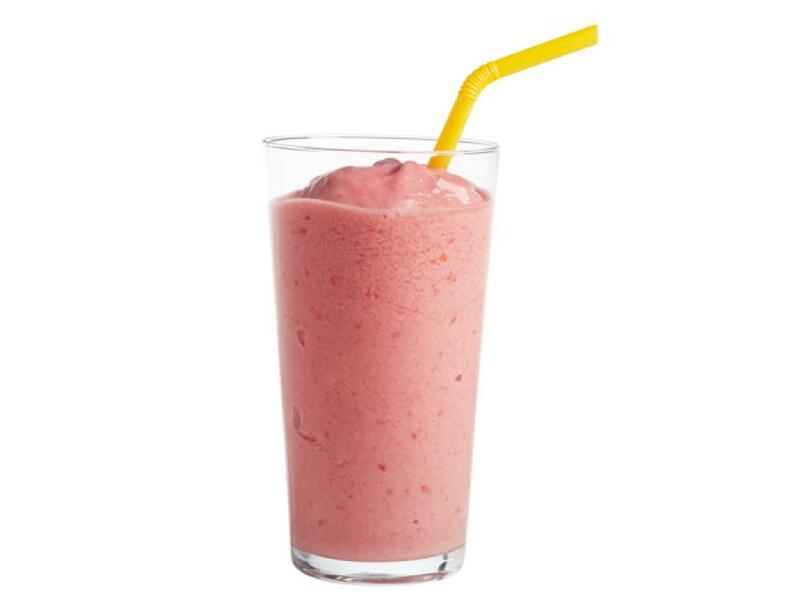 Puree 1 cup vanilla yogurt, 1 cup frozen strawberries, 1 frozen banana and 1/4 cup orange juice in a blender until smooth. 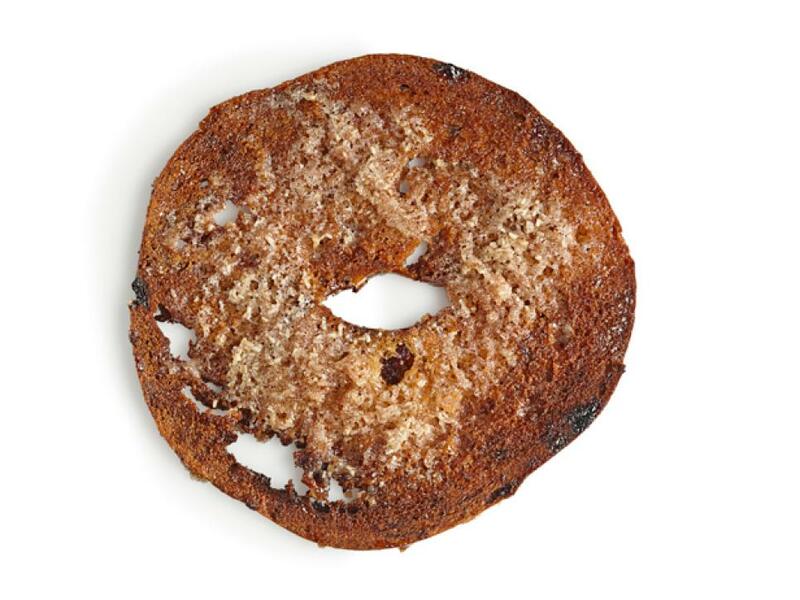 Slice stale cinnamon-raisin bagels crosswise into thin rounds. 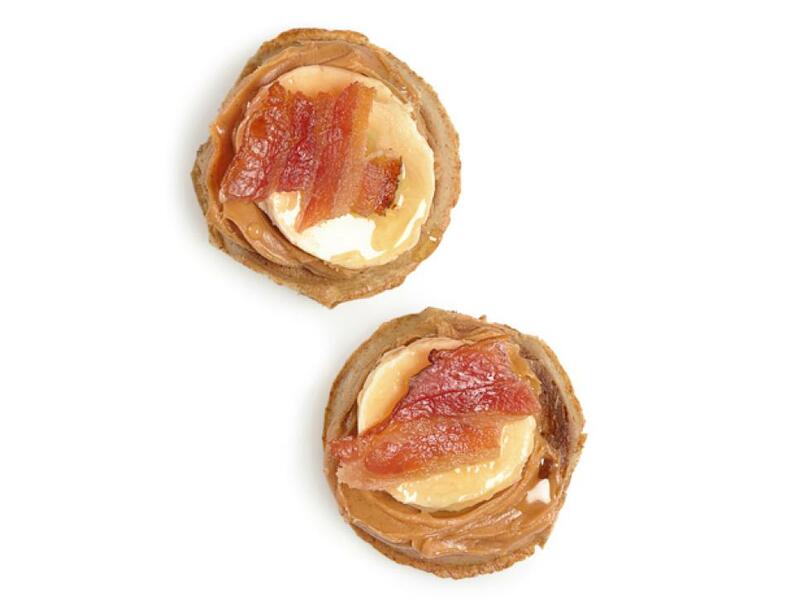 Brush the tops with melted butter and sprinkle with cinnamon sugar. Bake 10 minutes at 325 degrees F; flip, brush with more butter, sprinkle with more cinnamon sugar and bake 10 more minutes. Melt 3 tablespoons butter with 2 chopped garlic cloves in a saucepan. 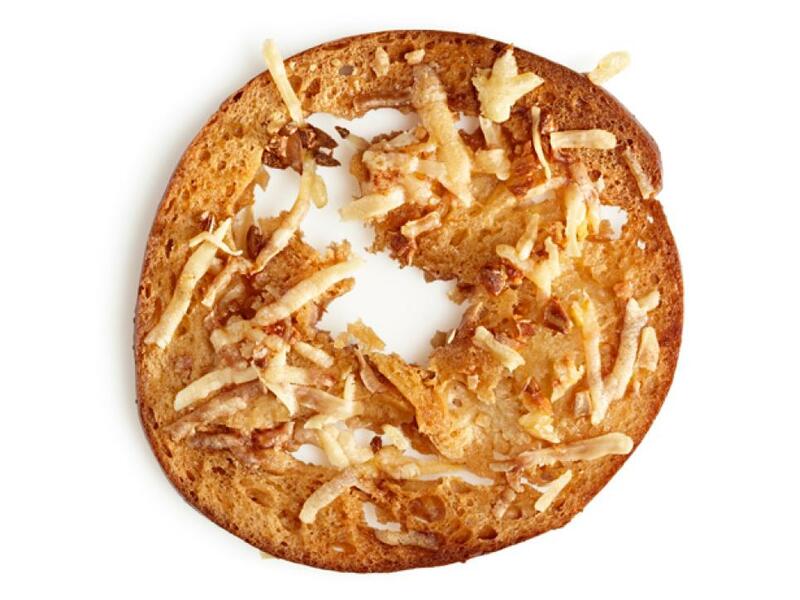 Slice stale plain bagels crosswise into thin rounds. Brush the tops with melted garlic butter and sprinkle with grated Parmesan. Bake 10 minutes at 325 degrees F; flip, brush with more butter, sprinkle with more grated Parmesan and bake 10 more minutes. 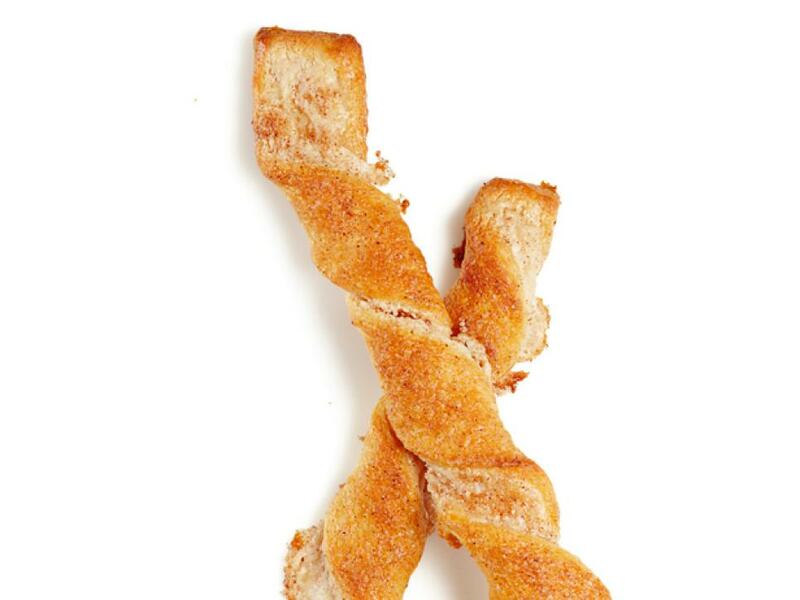 Mix 1 cup low-fat sour cream and 2 tablespoons each brown sugar and lime juice; sprinkle with cinnamon sugar. 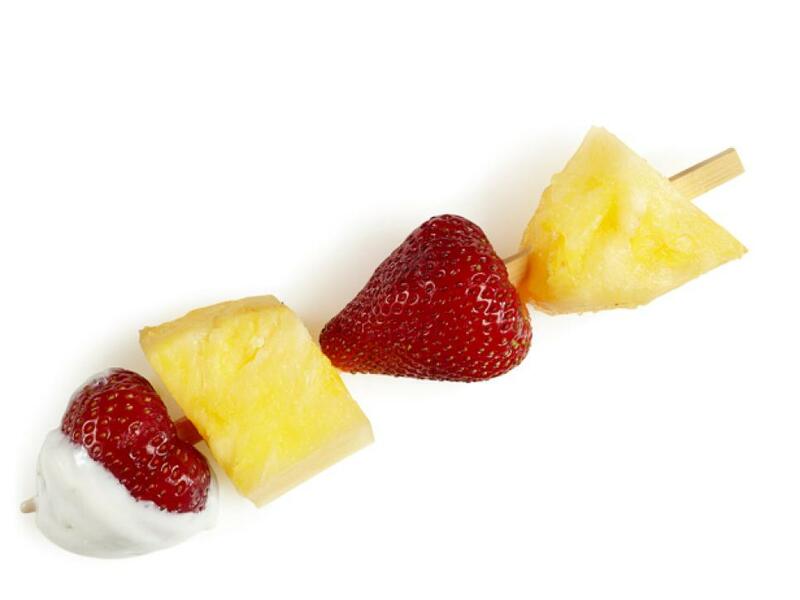 Thread fruit onto skewers; serve with the dip. 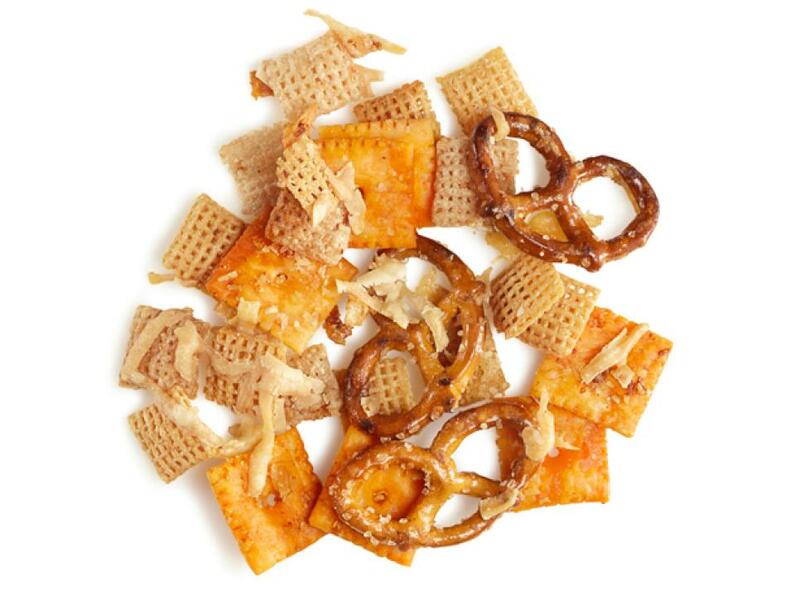 Toss 3 cups Chex cereal, 2 cups mini pretzels and 1 cup cheese crackers with 3/4 cup grated parmesan, 1/2 stick melted butter and a pinch of garlic powder. Spread on a baking sheet and bake 15 minutes at 325 degrees F, stirring. Melt 1/3 cup butter with 1 tablespoon honey and a pinch of salt. 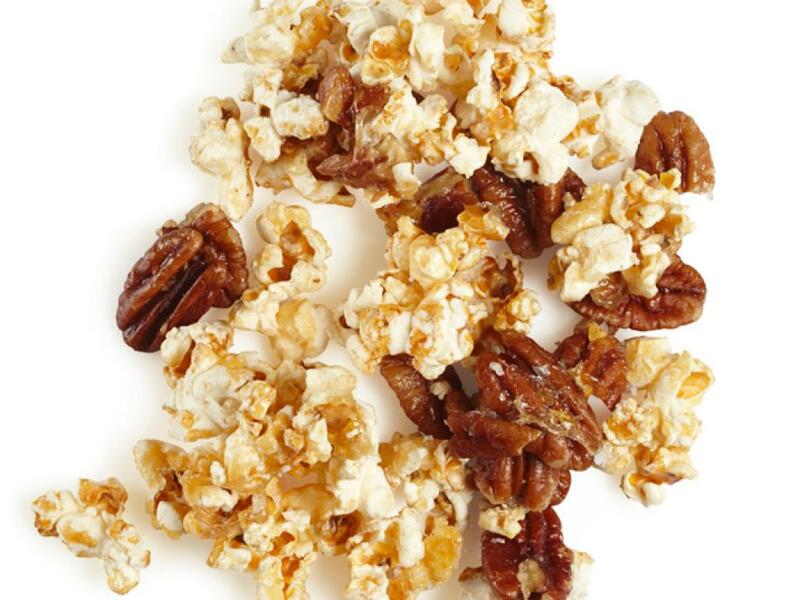 Toss with 12 cups popcorn and 1 cup pecans. Spread on a parchment-lined baking sheet and bake 15 minutes at 325 degrees F, tossing. Cool. Preheat 2 baking sheets in a 425 degrees F oven. 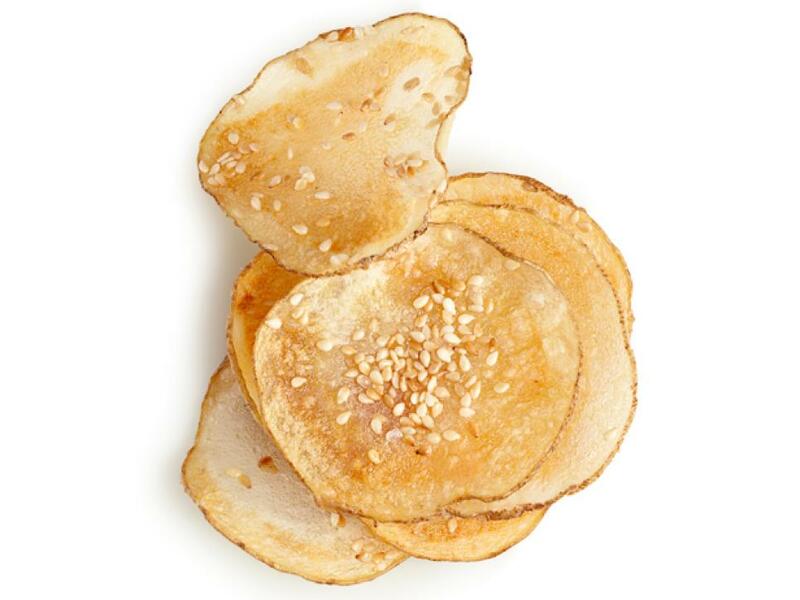 Toss thinly sliced russet potatoes with olive oil and salt. Spread on the hot baking sheets, sprinkle with sesame seeds and bake 10 minutes. Preheat 2 baking sheets in a 425 degrees F oven. 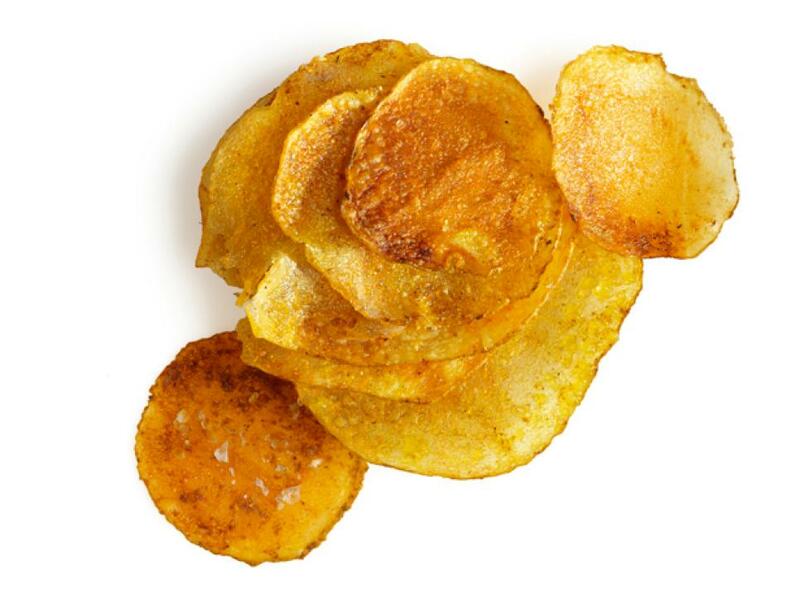 Toss thinly sliced russet potatoes with olive oil, salt and curry powder. Spread on the hot baking sheets and bake 10 minutes. 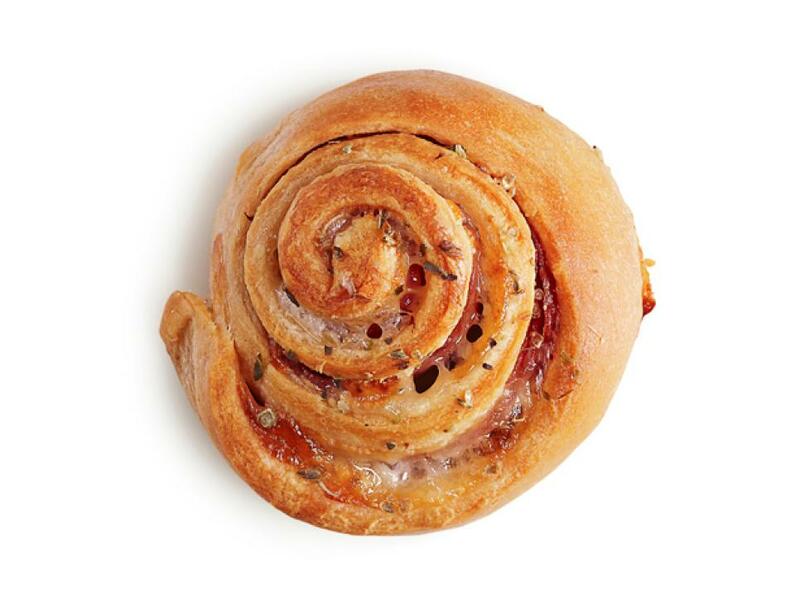 Top strips of refrigerated breadstick dough with 1 strip each of provolone and salami; roll into pinwheels. Brush with olive oil and sprinkle with dried oregano. Bake as the dough label directs. 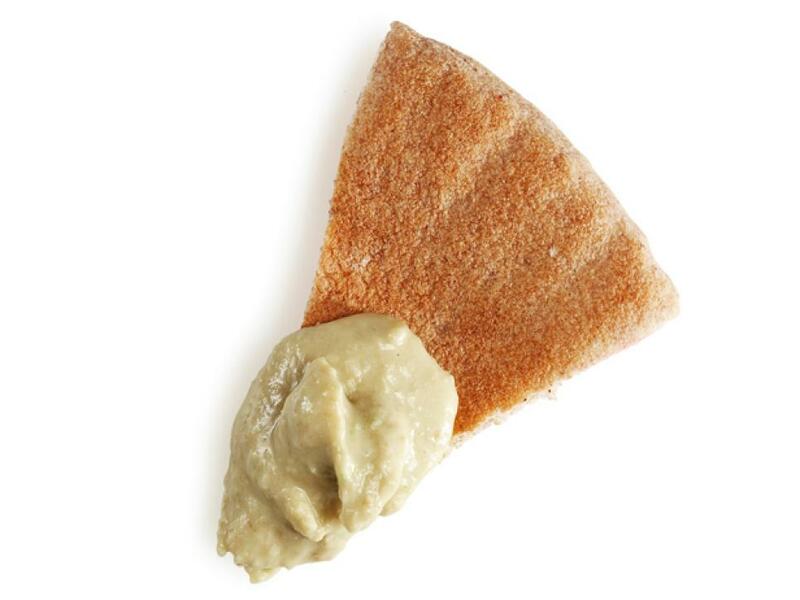 Split a whole-wheat pita into 2 rounds, then cut into wedges. 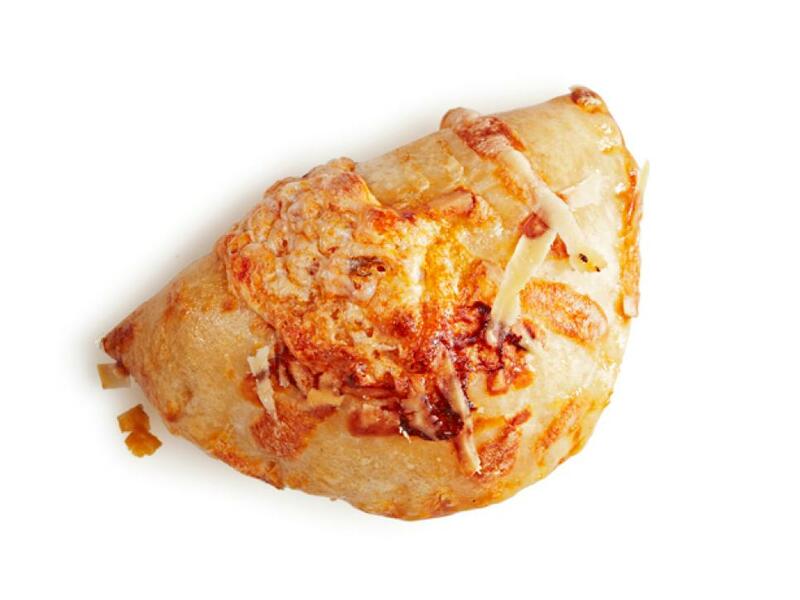 Broil until golden, then sprinkle with grated cheddar and salsa and broil until the cheese melts. Top with sliced scallions. 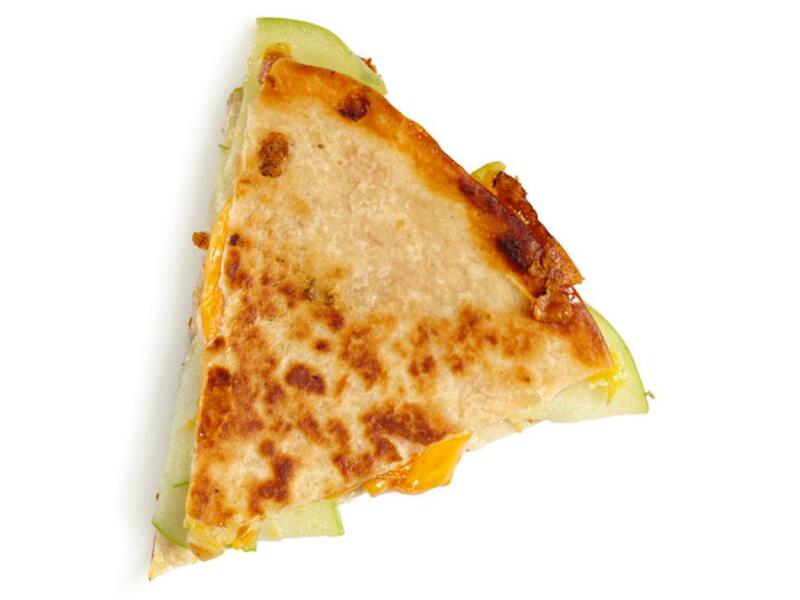 Melt some butter in a skillet, then lay a flour tortilla in the pan and top with grated cheddar and thinly sliced apple on one side. 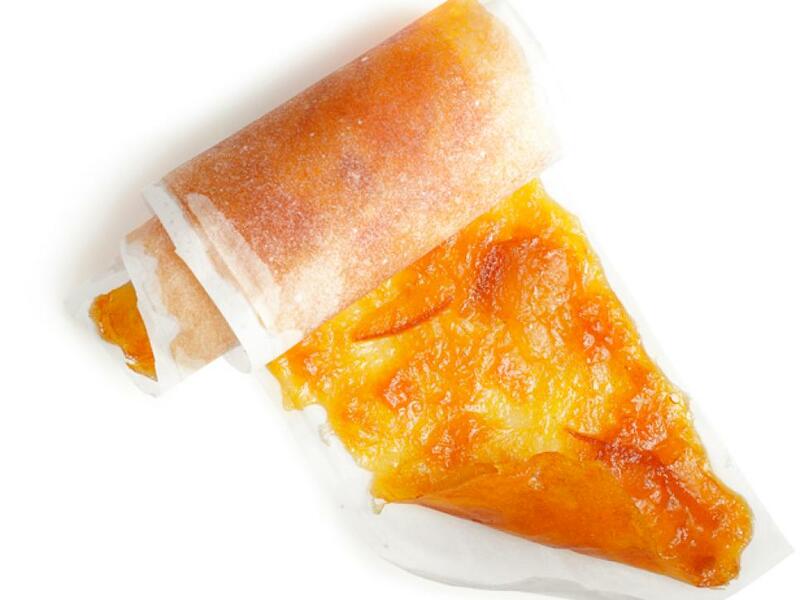 Fold the tortilla in half and cook until golden on both sides. Cut into wedges. Melt 2 tablespoons butter in a saucepan with 1/3 cup each honey and brown sugar, and a pinch of salt. 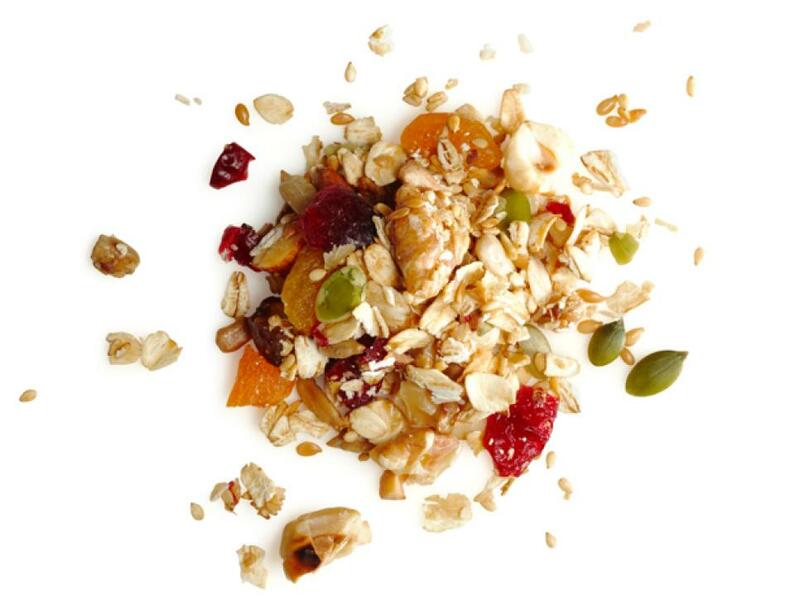 Mix in 2 cups rolled oats, 1 cup each chopped nuts and dried fruit, and 2 tablespoons wheat germ. 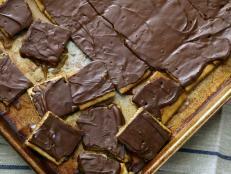 Press into a parchment-lined 8-inch-square pan and bake 30 minutes at 300 degrees F. Cool, then cut into bars. 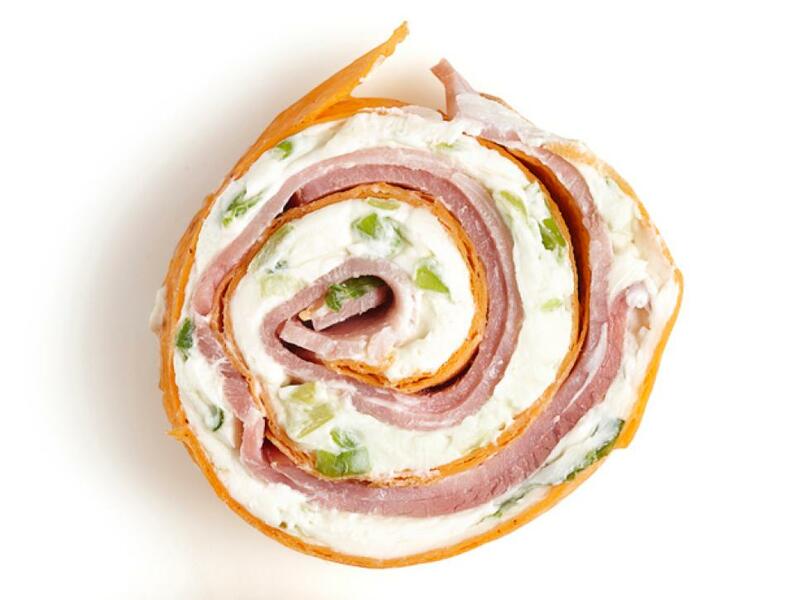 Spread scallion cream cheese on a sun-dried-tomato tortilla and top with thinly sliced ham. Roll up the tortilla and cut into 1/2-inch pieces. Halve a small loaf of Italian bread horizontally and toast under the broiler. Brush with olive oil, then top with tomato sauce, grated mozzarella, parmesan and sliced pepperoni. Broil until bubbly. Sprinkle with dried oregano. Mix 3 cups rolled oats, 1 cup mixed seeds, 1 cup chopped mixed nuts, 1/4 cup shredded coconut and a pinch each of salt and cinnamon. Toss with 1 tablespoon vegetable oil and 3 tablespoons honey. Spread on a baking sheet and bake 25 minutes at 325 degrees F, tossing. 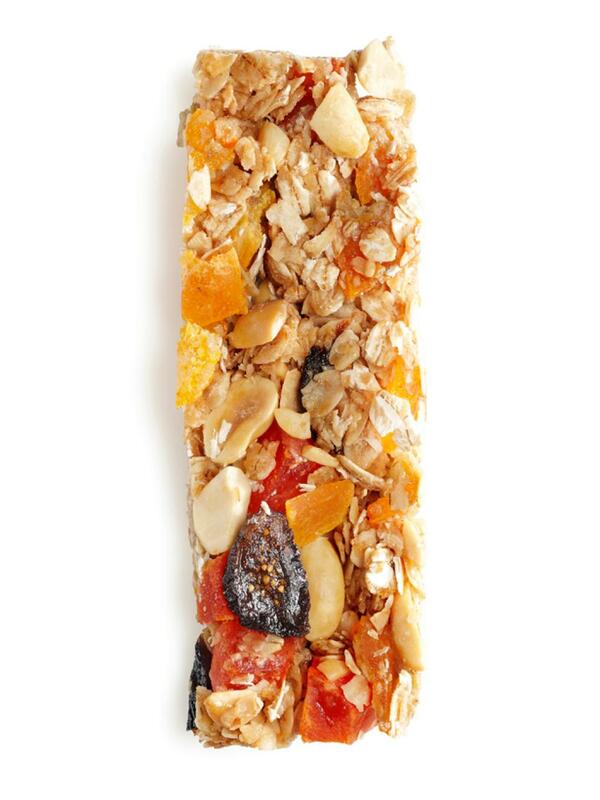 Cool; stir in 2 cups mixed dried fruit. 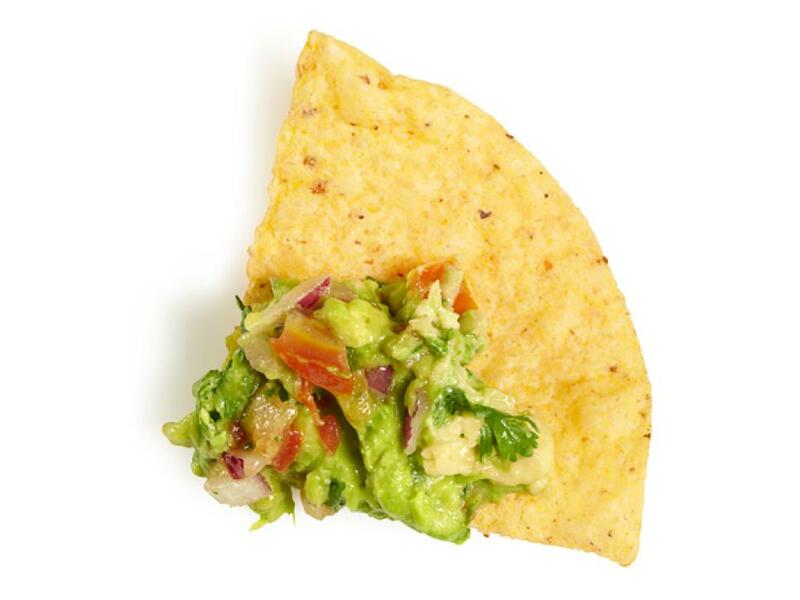 Mix 1/2 cup salsa, 2 smashed avocados, 2 tablespoons each lime juice and chopped cilantro, and salt to taste. Serve with tortilla chips. 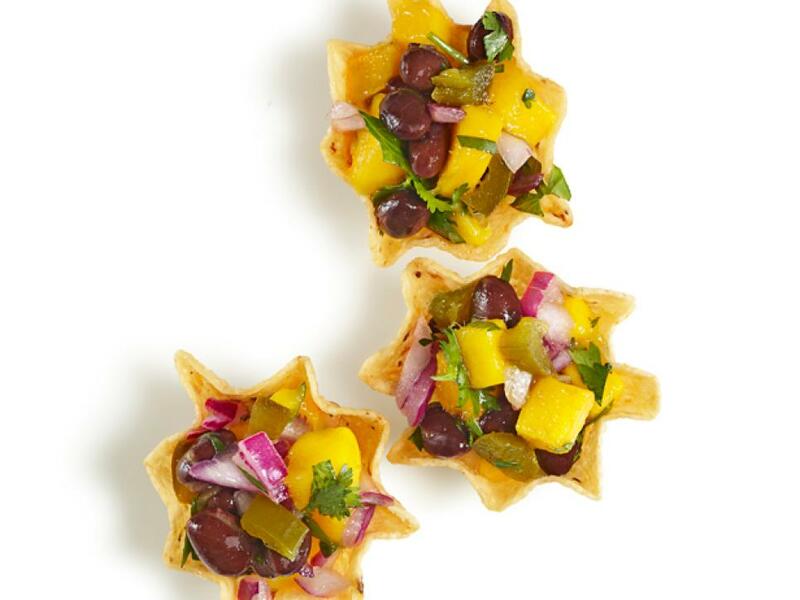 Toss 1 cup each diced mango and black beans with 1/4 cup diced red onion. Add 2 tablespoons each chopped pickled jalapenos and the liquid from the jar, chopped cilantro and lime juice. Season with salt. 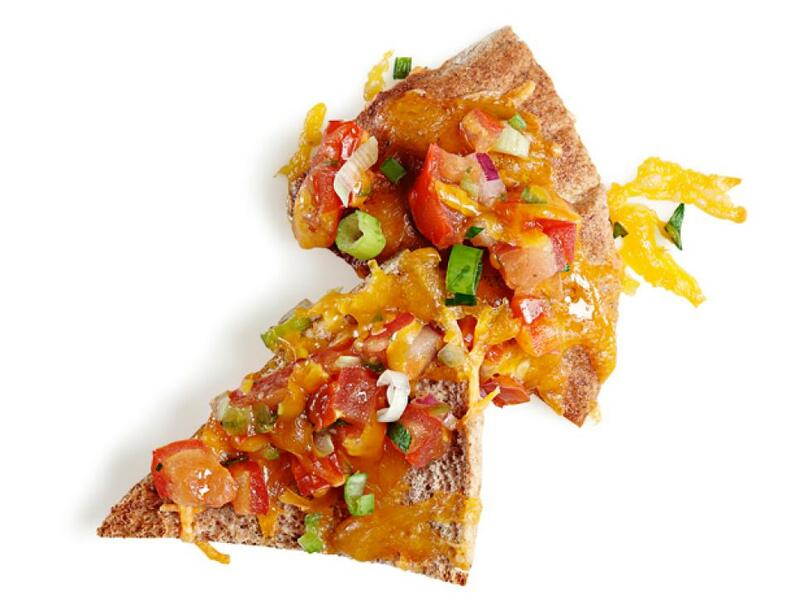 Serve in tortilla scoops. Microwave 1/4 cup each peanut butter, chocolate chips and butter until melted. 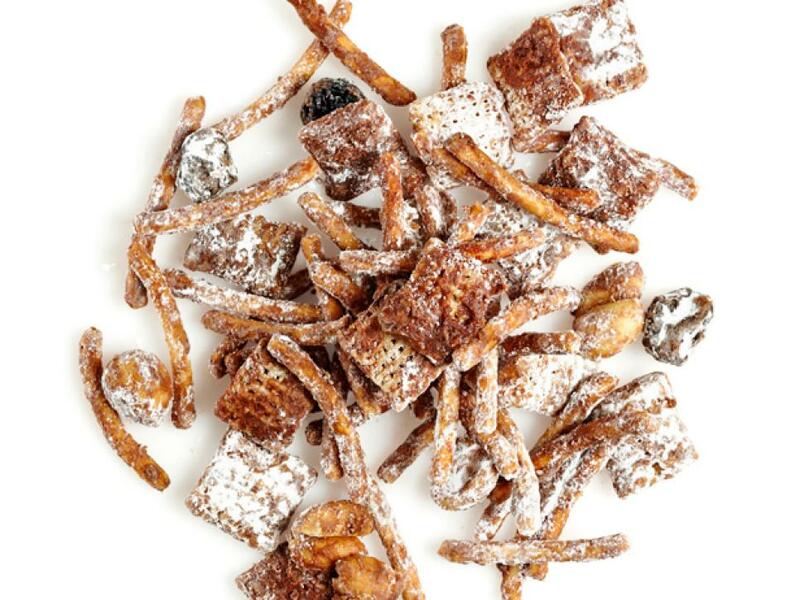 Put 3 cups each chow mein noodles and Chex cereal, and 1/2 cup each chopped peanuts and raisins in a resealable plastic bag; add the chocolate mixture and shake to coat. 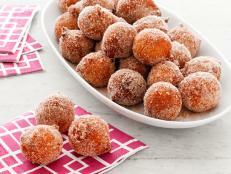 Add 2 cups confectioners' sugar and shake again. 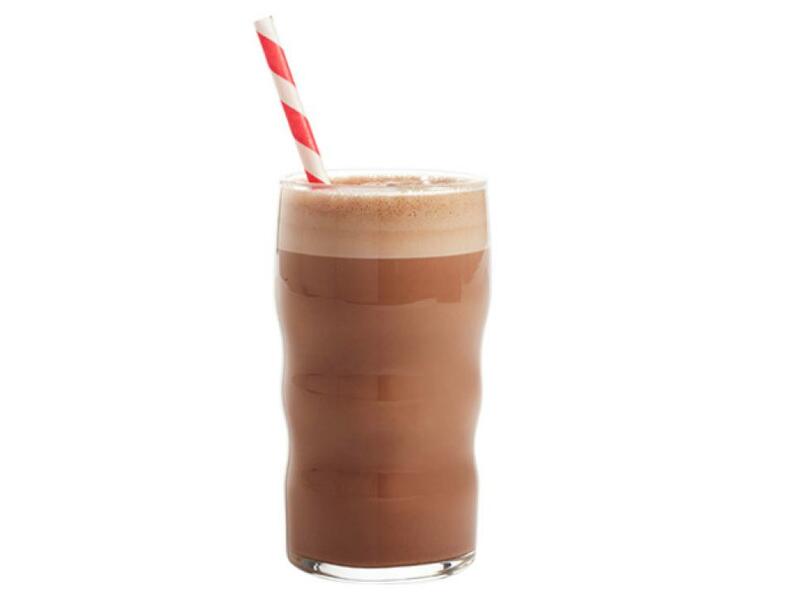 Mix 2 tablespoons room-temperature Nutella and 3/4 cup milk in a glass. Quickly stir, then pour in 1/2 cup cold seltzer. 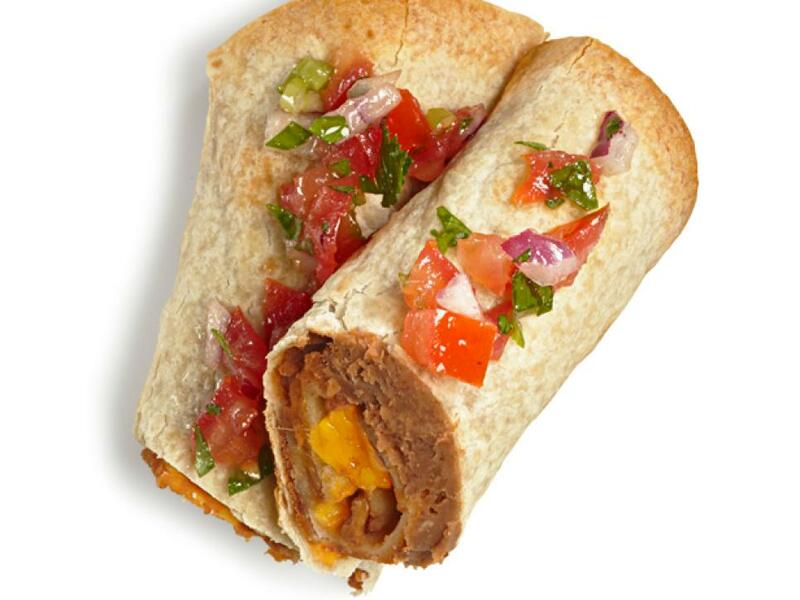 Spread bean dip on a flour tortilla, top with shredded cheddar and roll up. 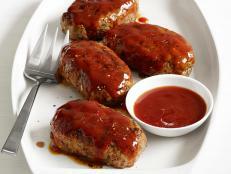 Brush with vegetable oil and bake 10 minutes at 400 degrees F. Serve with salsa. 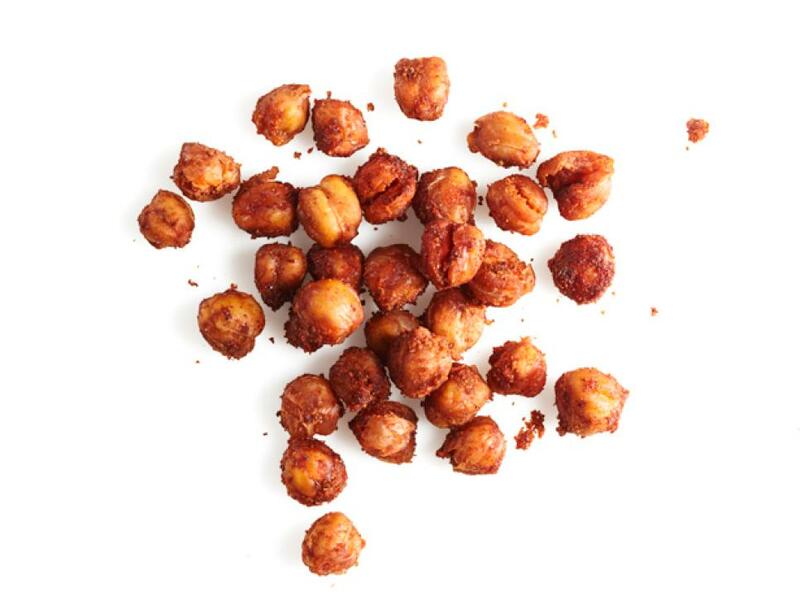 Cook a 15-ounce can drained chickpeas in an ovenproof skillet with 2 tablespoons olive oil and 1 teaspoon each cumin and smoked paprika, 2 minutes. Season with salt, then bake 20 minutes at 425 degrees F.
Beat 1/2 cup softened cream cheese with 1 tablespoon cinnamon sugar until smooth. 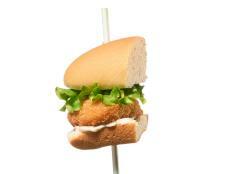 Spread onto strips of refrigerated breadstick dough. 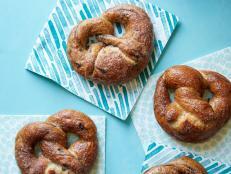 Twist and stretch into 12-inch sticks and bake as the dough label directs. Brush with melted butter. 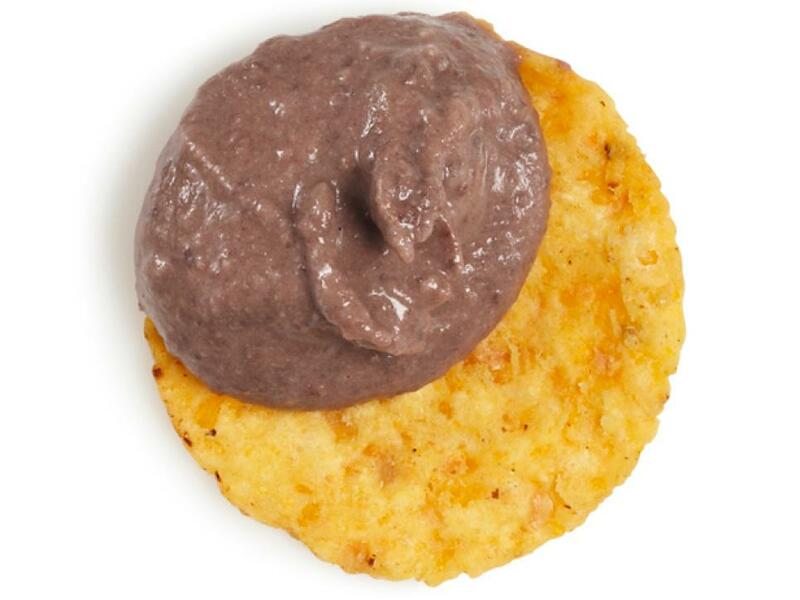 Puree a 15-ounce can drained black beans with 1 garlic clove, 2 tablespoons each lemon juice and tahini, and 1 teaspoon cumin; add water if needed. Season with salt. 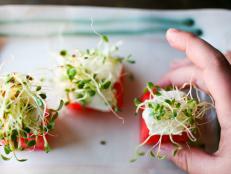 Serve with crackers or vegetables. Puree 1 cup cooked shelled edamame with 1 garlic clove, 2 tablespoons each lemon juice and tahini, and 1 teaspoon cumin; add water if needed. Add 1 teaspoon sesame oil and top with sesame seeds. Season with salt. 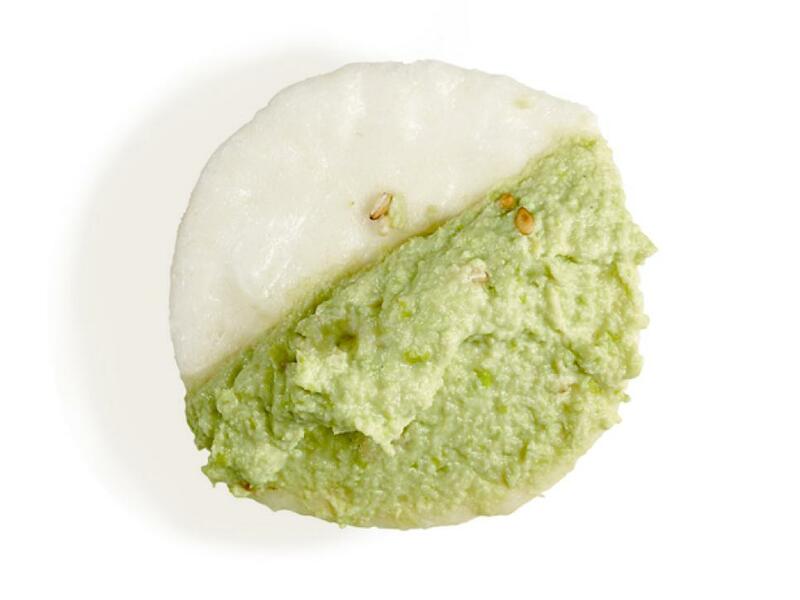 Serve with rice crackers. Puree a 15-ounce can drained white beans with 1 garlic clove, 2 tablespoons each lemon juice and tahini, 1/2 cup chopped scallions, and 1 teaspoon cumin; add water if needed. Season with salt. 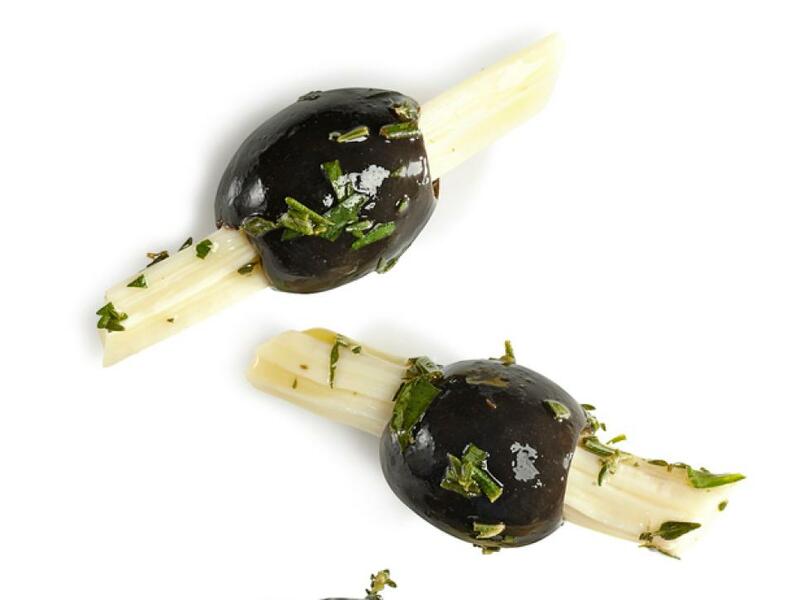 Serve with pita or breadsticks. 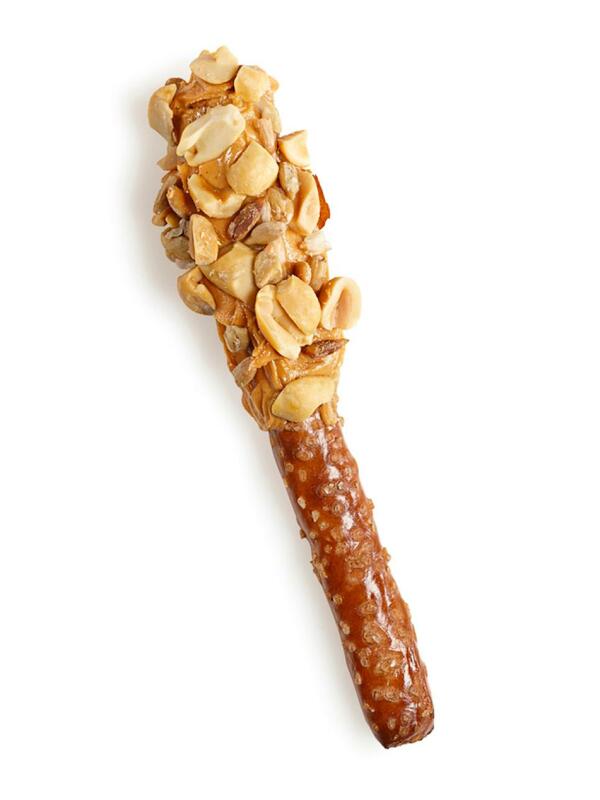 Spread peanut butter on the top few inches of pretzel rods. 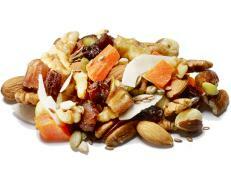 Roll in chopped peanuts and/or dried fruit. 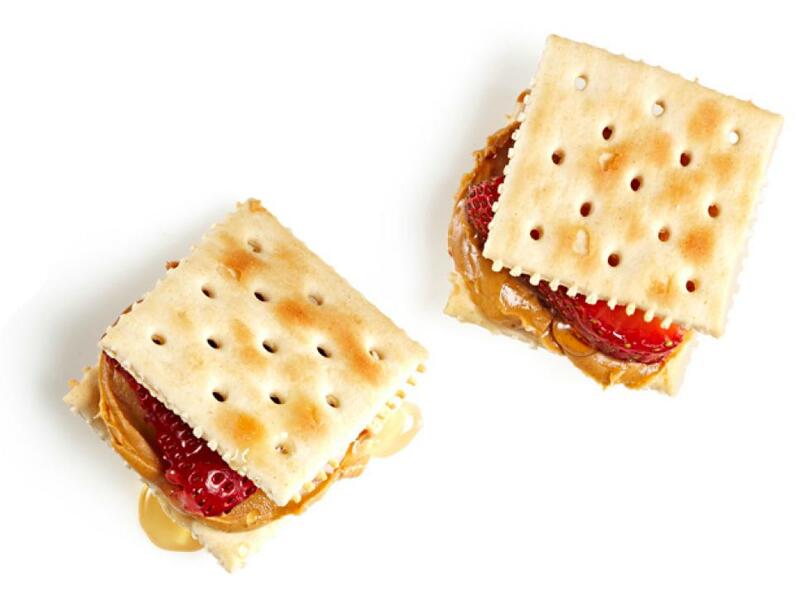 Spread peanut butter on saltines. 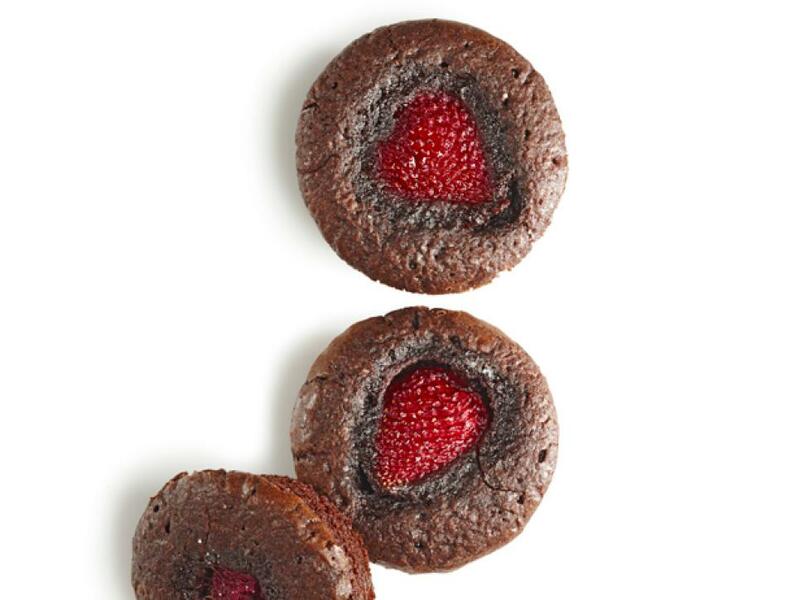 Top with thin strawberry slices. 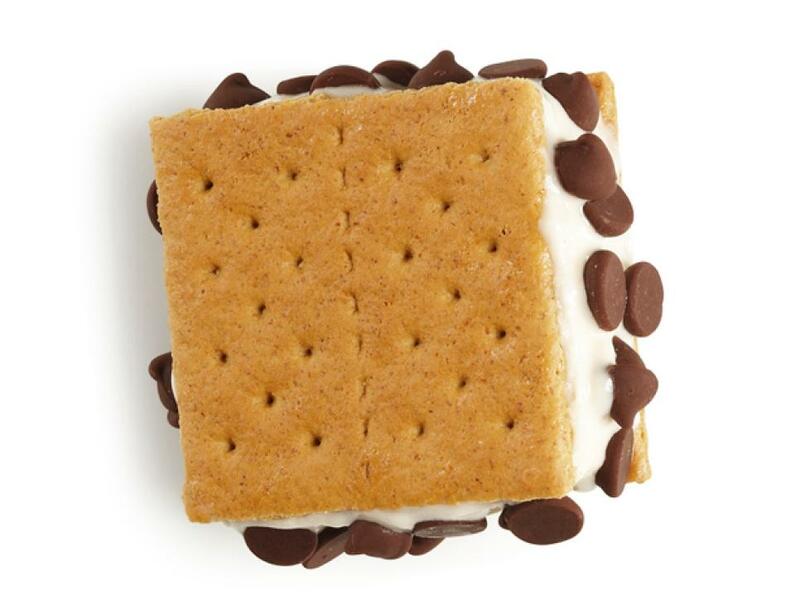 Drizzle with honey and top each with another saltine. 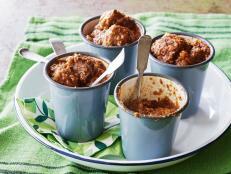 Mix Melt 1/2 stick butter with 3 tablespoons brown sugar, 1 teaspoon smoked paprika and 1/4 teaspoon cayenne. 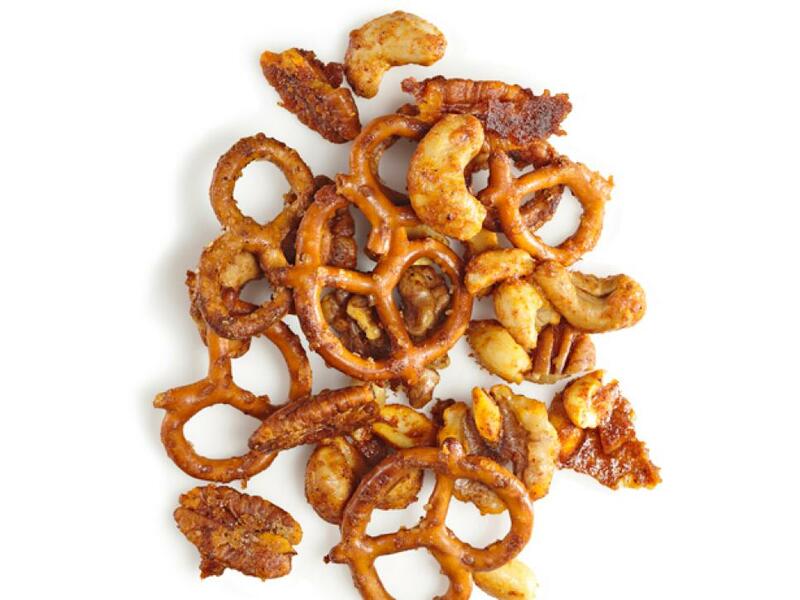 Toss with 3 cups mini pretzels and 2 cups mixed nuts. Spread on a baking sheet and bake 20 minutes at 325 degrees F, stirring. 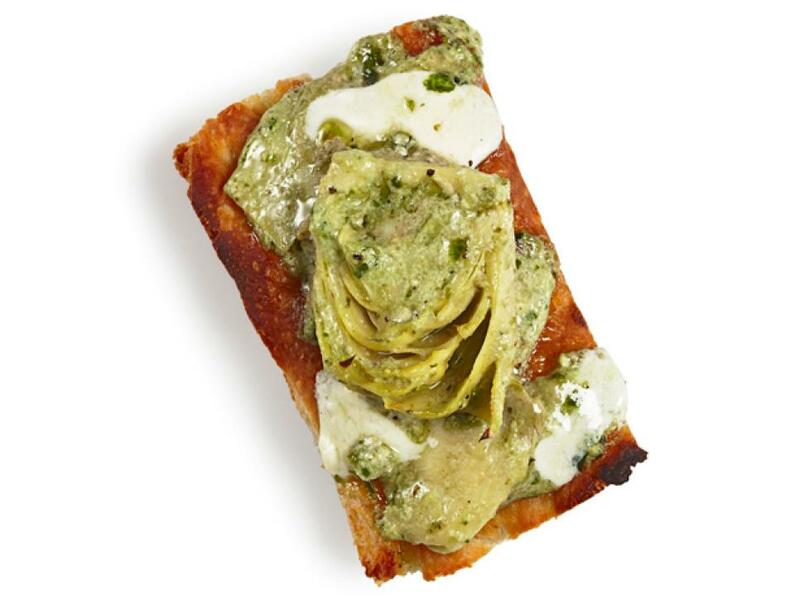 Mix 1/2 cup each ricotta, chopped artichoke hearts and pesto with 1/4 cup grated parmesan, and salt and pepper. Spread on focaccia and top with mozzarella. 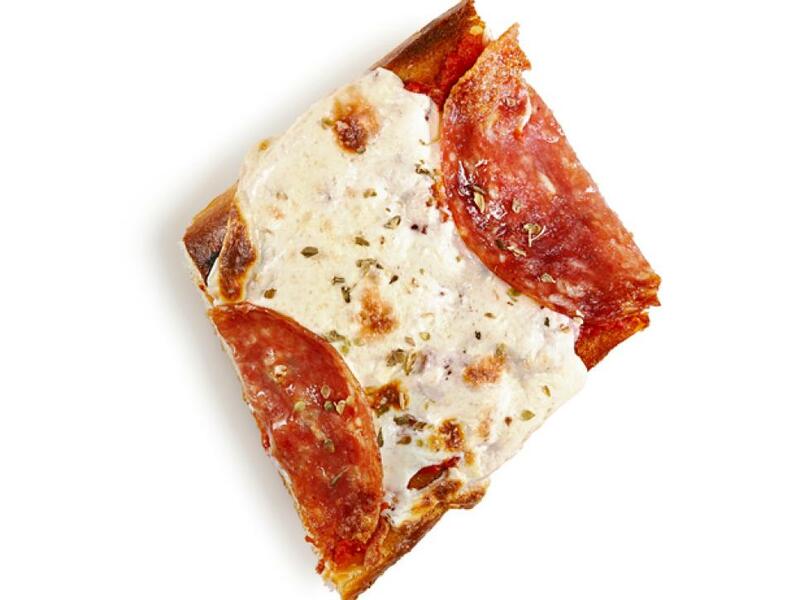 Bake 10 minutes at 375 degrees F.
Roll out refrigerated pizza dough to 1/4 inch thick; cut into 3-inch rounds. 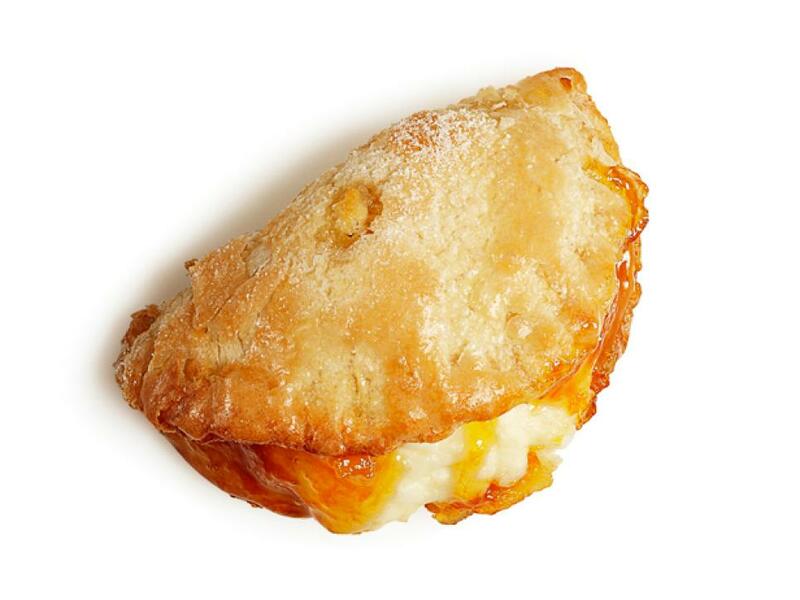 Dollop with cream cheese and jam. 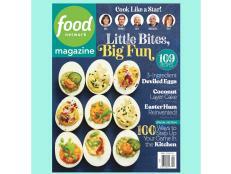 Brush the edges with beaten egg, fold in half and press to seal. Brush with egg and sprinkle with sugar. Poke a hole in each; bake 20 minutes at 400 degrees F.
Roll out refrigerated pizza dough to 1/4 inch thick; cut into 3-inch rounds. 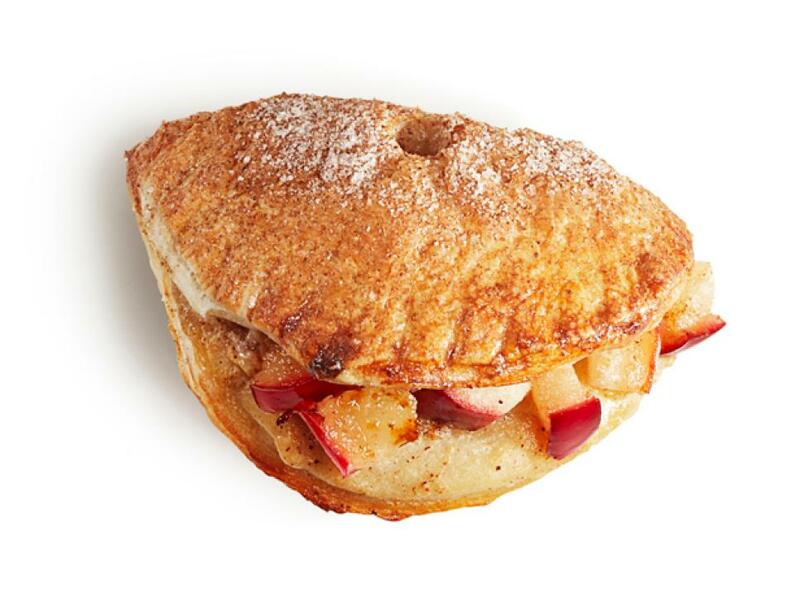 Fill with ricotta, diced apple and a pinch of cinnamon sugar. Brush the edges with beaten egg, fold in half and press to seal. Brush with egg and sprinkle with cinnamon sugar. Poke a hole in each; bake 20 minutes at 400 degrees F.
Roll out refrigerated pizza dough to 1/4 inch thick; cut into 3-inch rounds. 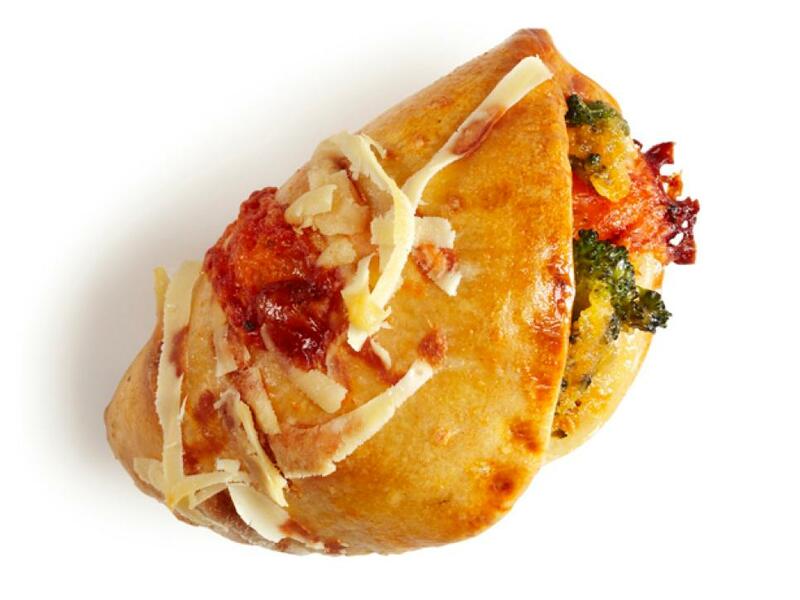 Fill with chopped cooked broccoli and shredded cheddar. 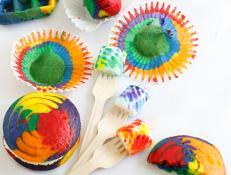 Brush the edges with beaten egg, fold in half and press to seal. Brush with egg and sprinkle with parmesan. Poke a hole in each; bake 20 minutes at 400 degrees F.
Roll out refrigerated pizza dough to 1/4 inch thick; cut into 3-inch rounds. Fill with tomato sauce and grated mozzarella and parmesan. Brush the edges with beaten egg, fold in half and press to seal. Brush with egg and sprinkle with more parmesan. 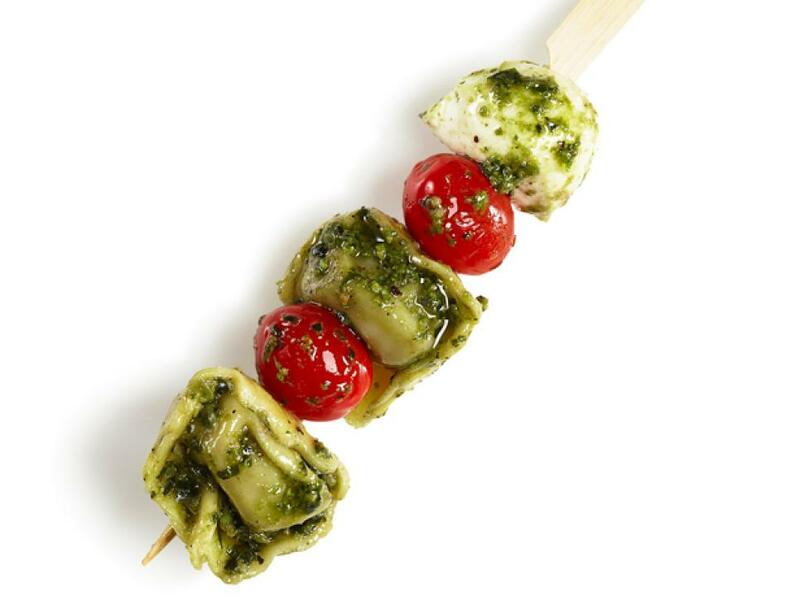 Poke a hole in each; bake 20 minutes at 400 degrees F.
Toss cooked spinach tortellini, grape tomatoes and mini mozzarella balls with pesto, olive oil, salt and pepper. Thread onto skewers. 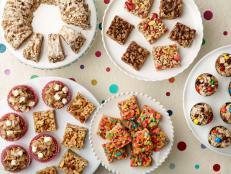 Place a scoop of frozen yogurt between graham cracker squares. Roll the edges in chocolate chips. Freeze until firm. 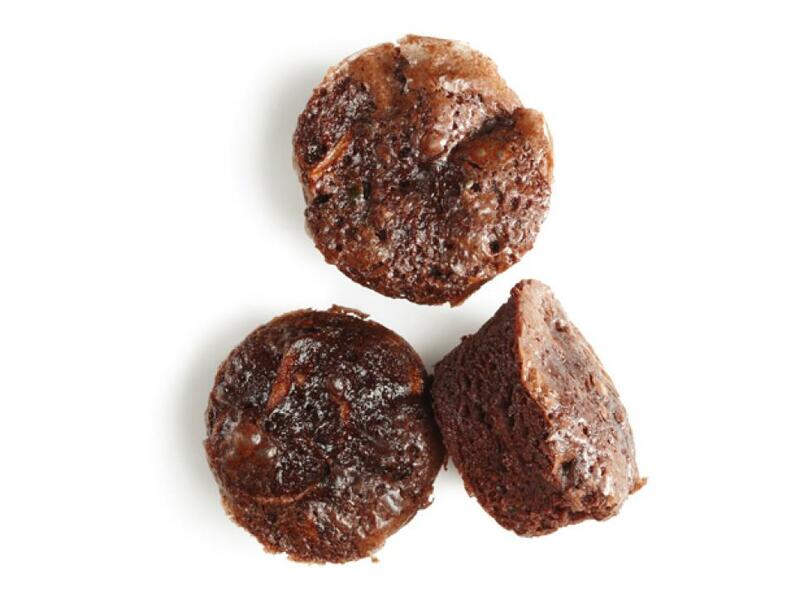 Prepare your favorite brownie batter, adding 1 cup shredded zucchini (squeezed dry); divide among greased mini-muffin cups and bake 15 to 18 minutes at 350 degrees F.
Prepare your favorite brownie batter and divide among greased mini-muffin cups. 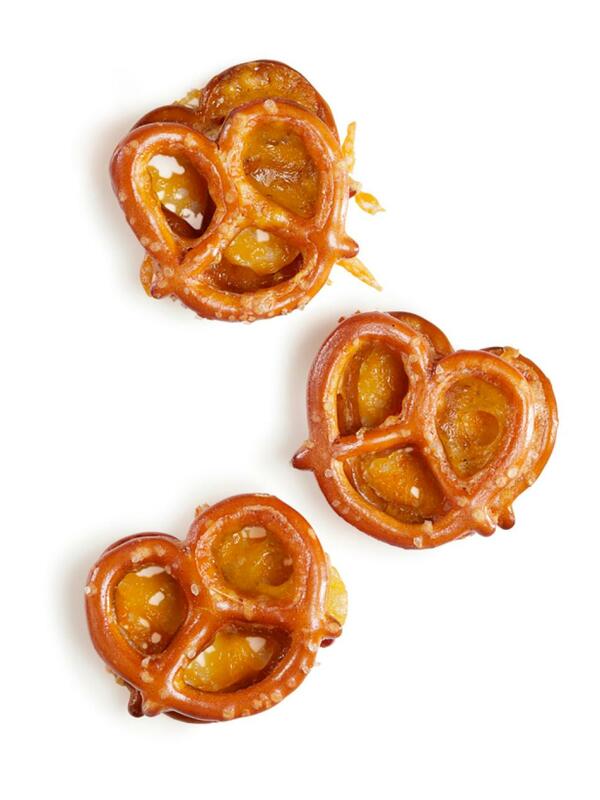 Press a raspberry or sliced strawberry into the batter; bake 15 to 18 minutes at 350 degrees F.
Sandwich small slices of cheddar between mini pretzels. Put on a parchment-lined baking sheet and bake about 10 minutes at 425 degrees F. Serve with mustard. 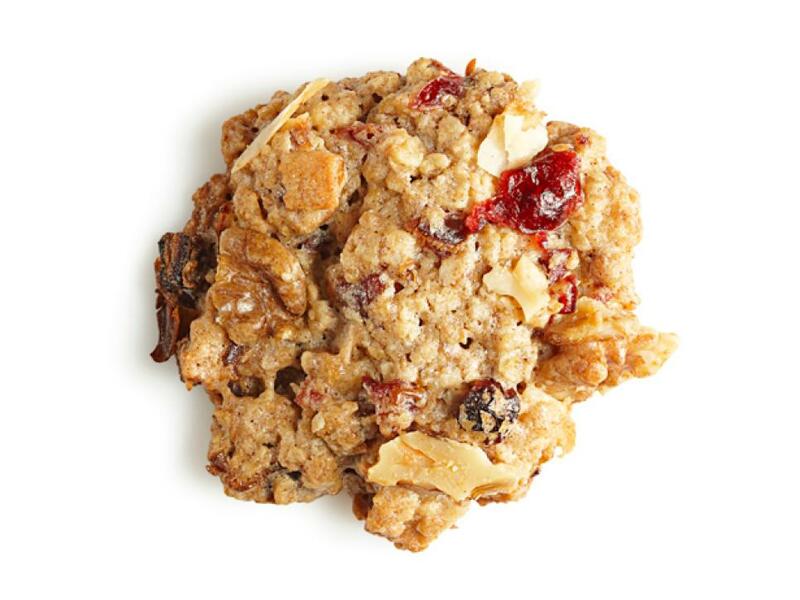 Prepare a 17.5-ounce package oatmeal cookie mix as the label directs, but substitute 1/2 cup applesauce for the butter or oil and add 1/4 cup wheat germ and 1 cup each chopped mixed nuts, dried fruit and shredded coconut to the batter. 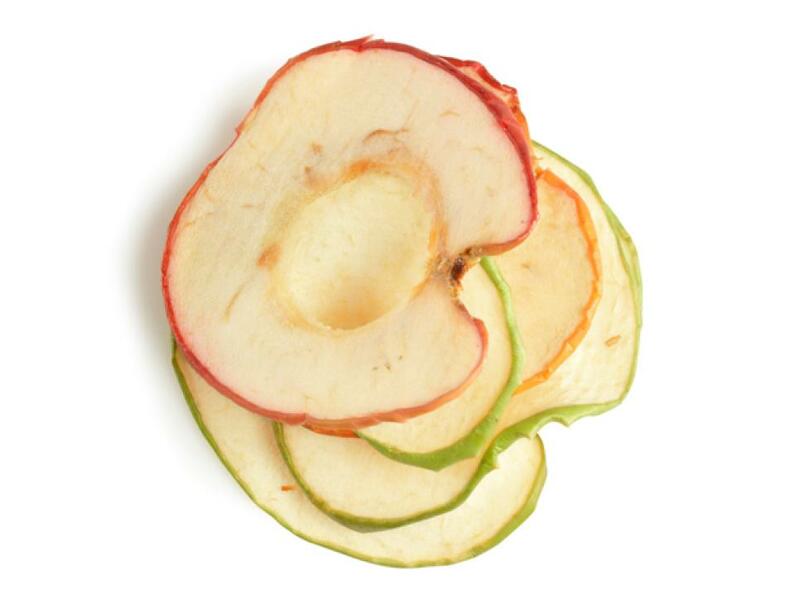 Peel a jicama; cut into sticks. Toss with lime juice and sprinkle with chopped cilantro, salt, sugar and chili powder. 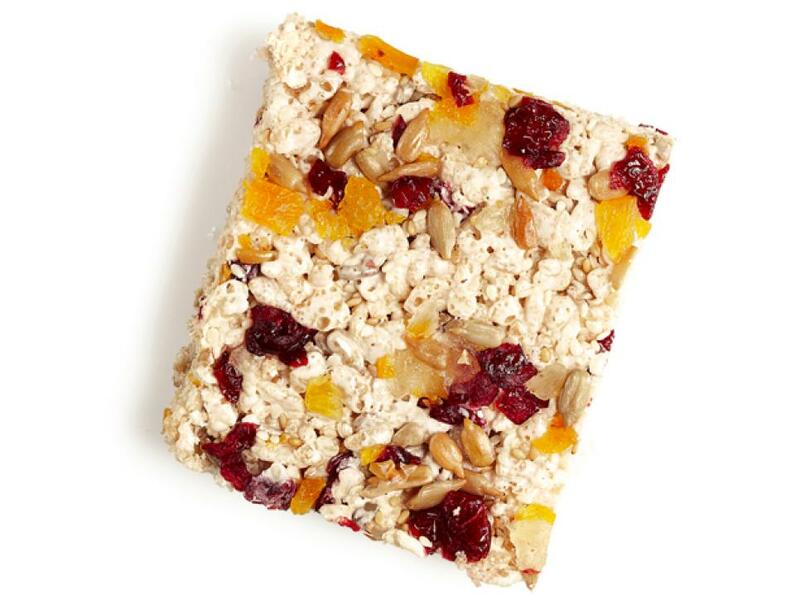 Make Rice Krispies Treats as the label directs, adding 1/4 cup sesame seeds and 1/2 cup each chopped dried fruit and sunflower seeds with the cereal. Spread peanut butter on toasted mini whole-wheat waffles. Top with sliced banana, crumbled bacon and honey. 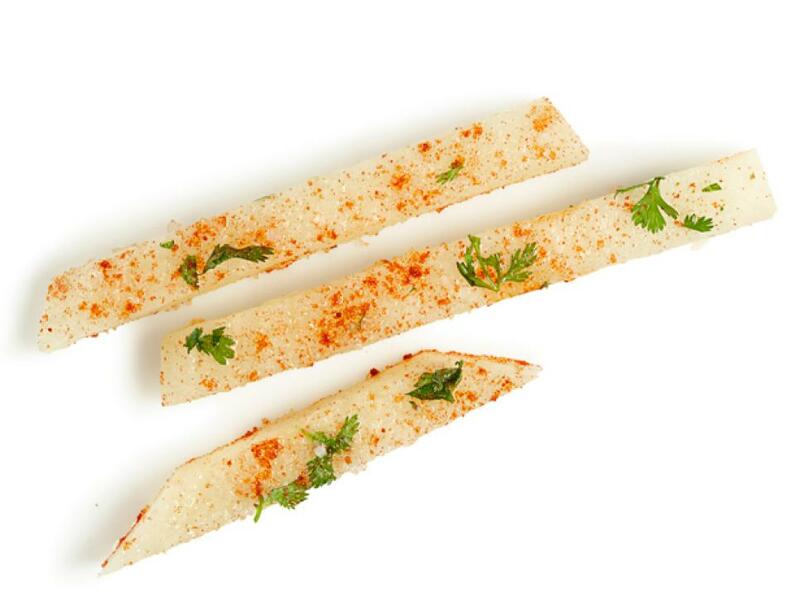 Cut cheese sticks into thin strips. Stuff inside large pitted olives. Toss with olive oil, red wine vinegar and parsley. 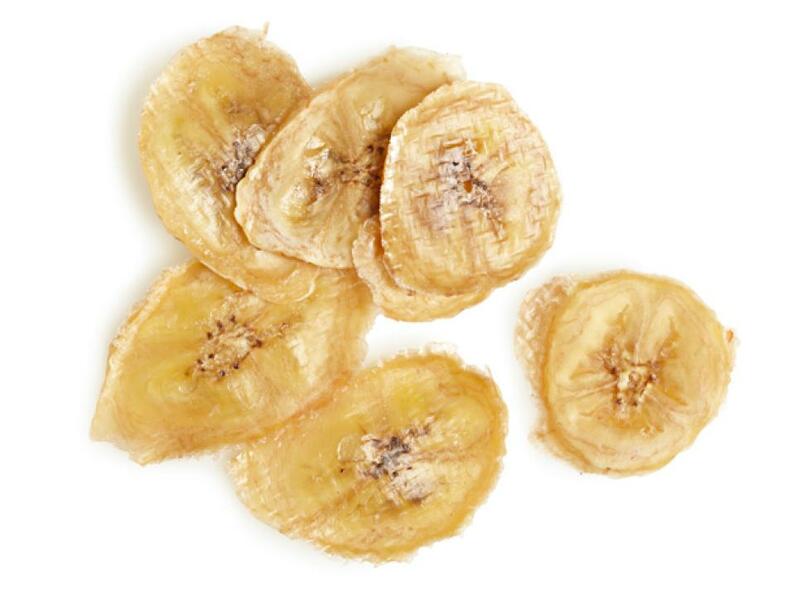 Slice a banana into 1/8-inch-thick rounds and lay on a greased baking sheet. Bake at 200 degrees F until golden, 2 to 3 hours. Let harden at room temperature. 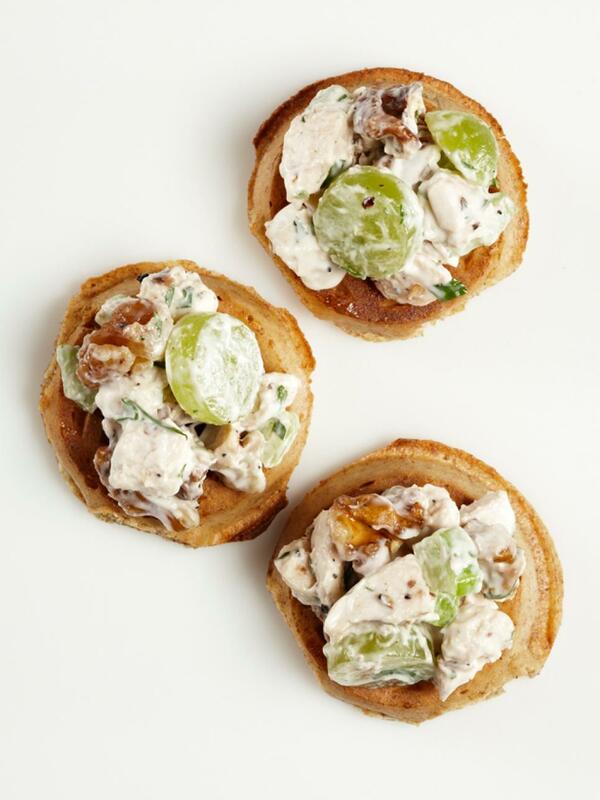 Mix chicken salad with some sliced grapes and chopped walnuts. 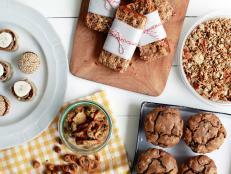 Spoon onto toasted mini whole-wheat waffles. 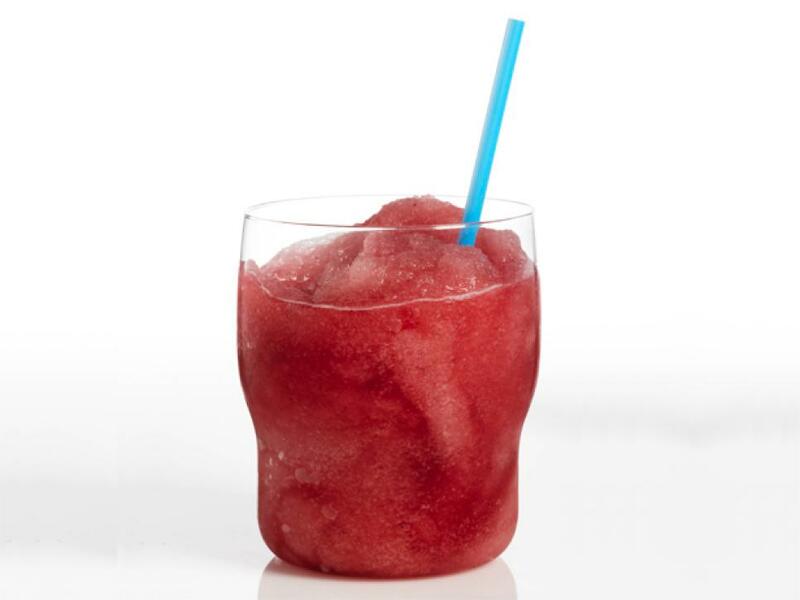 Blend 1 cup pomegranate juice and 2 tablespoons honey with 3 cups ice until slushy. Pour into glasses and top with more juice. 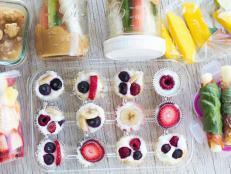 Mix 1/3 cup no-sugar-added fruit preserves with 1 teaspoon cornstarch. Spread into a 2-by-12-inch strip on greased parchment; bake 45 minutes at 225 degrees F. Cool, then trim the parchment and roll up. 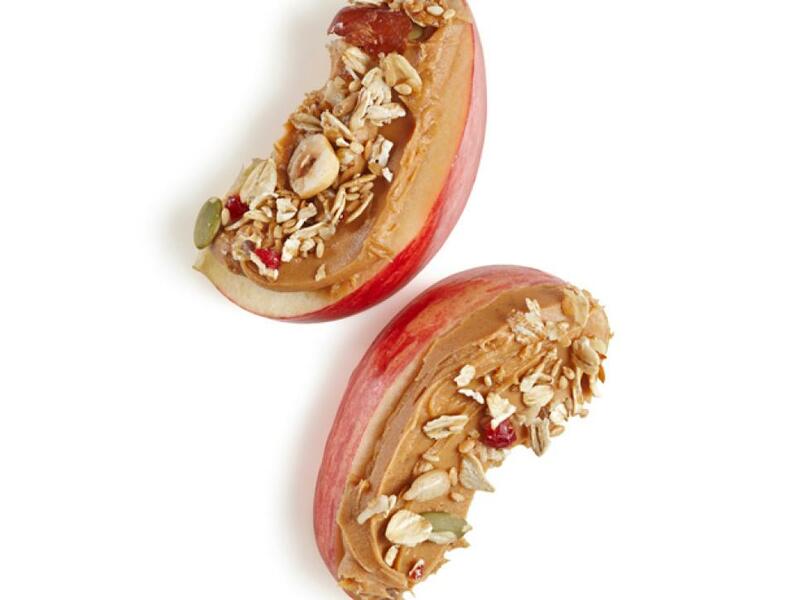 Cut an apple in half and scoop out the seeds with a spoon. 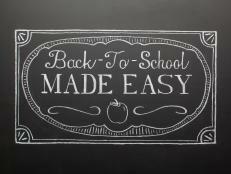 Slice into 1/4-inch-thick rounds. Lay on a greased baking sheet and bake at 200 degrees F until dry, 2 to 3 hours. 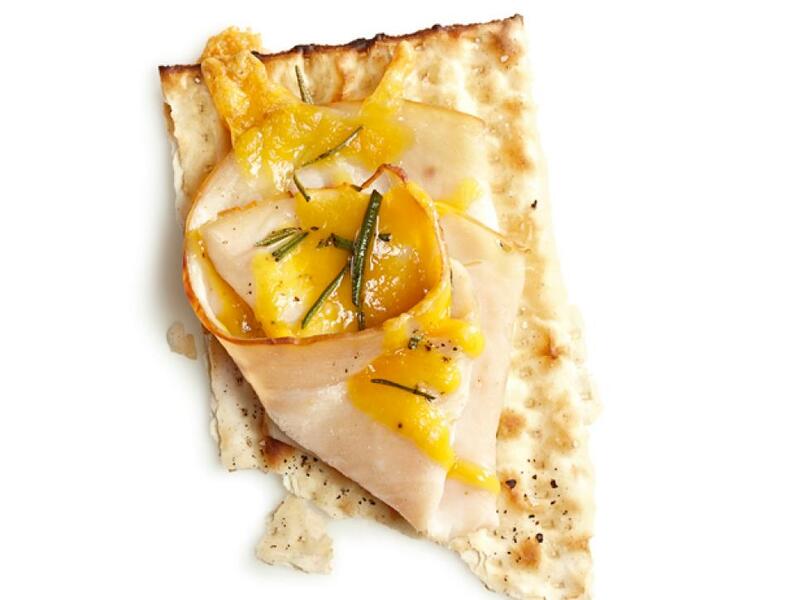 Brush matzo crackers with olive oil and sprinkle with salt, pepper and dried rosemary. Top with sliced turkey and shredded cheddar. Bake 5 minutes at 400 degrees F.